Five decades of industry-led mythology and mystification have created many false debates or unnecessarily-held beliefs inside the Scotch whisky community. Sean Baxter speaks to six respected whisky brand ambassadors to find out which of these outdated clichés should be reconsidered. The cliché is a currency the Scotch whisky industry deals with on a daily basis. While brands are keen to shed their tartan-toting identities from yesteryear, the damage done by previous marketing campaigns is often clear to see. As brands modernise and embrace a new world of single malt enthusiasm, what happens to the marketing statements that came before, and how do you deal with the knock-on effects? Brand ambassadors are whisky warriors on the front line of current liquid linguistics, and they know first-hand the carnage that five generations of whisky marketing have wrought. It is their job to douse water on the flames of marketing myth, created by ambitious brand managers and perpetuated by lazy journalism. In many cases, it is fellow ambassadors themselves who have pushed the topic, albeit years earlier when trends were different. So what are the most overused themes and clichés heard by the world’s best whisky conversationalists? And are the ambassadors themselves ever guilty of delivering a few of their own? ‘Blends versus malts,’ sighs Fraser Campbell, global ambassador for Dewar’s. ‘It sounds like the title of a shoddy B-movie from the 1950s. Sometimes an over-reliance on obscure technical detail can alienate an audience. This is usually born of the overriding sense of fear created by a room-full of whisky nerds primed with questions about phenolic parts-per-million and litre-specific still measurements. But, in truth, these audiences are very few and far between. Daryl Haldane, head of whisky experience at Whyte & Mackay, takes a similar line. ‘Let’s face it – 99.9% of the world has no idea what an ester is,’ he says. ‘A lot of [brand ambassadors] can bamboozle people with this, but ultimately fail in their quest to excite people about whisky, as all they have done is made a complicated subject even more complicated. ‘I have always tried to ensure our brand ambassadors hero the stories – and save the super-technical chat for naked sauna whisky club tastings in the middle of Sweden.’ Getting naked people excited about whisky? That brings a whole new set of problems. As global whisky consumers become more educated, explaining why whisky tastes the way it does has evolved as well. Rarely do you see brands banging on about ‘Highland air’ any more, but that hasn’t always been the case. Simon McGoram, Australia’s national ambassador for Johnnie Walker and the Classic Malts, has his own opinions on such stories, especially when they become a little too fantastical. 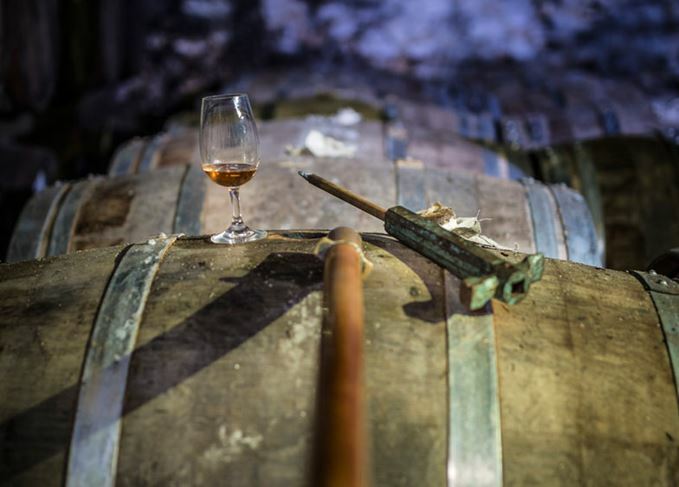 ‘I guess the big one is this concept of “terroir” in whisky, of regionality,’ he says. ‘I think we like to mystify whisky quite a lot and talk about it like an agricultural product, where in fact it’s very much industrial. It can sometimes be the ambassadors themselves (and many of their predecessors) who unintentionally plant these seeds of misinformation, only to be laboriously reaped by those in the job many years later. Brand messages change from generation to generation, sometimes quite aggressively. When it comes to tired whisky conversations, there is so much to choose from. Dan Woolley, Australia’s national whisky ambassador for Beam Suntory, is only too aware of the current stock of clichés doing the rounds. ‘My favourite is definitely age versus no age,’ says Woolley. ‘This is something that marketing has shot themselves in the foot with. This means that, as language changes and brand conversations evolve, ambassadors need to stay ahead of the curve in order to avoid becoming obsolete. Put simply, it’s an ambassador’s job to be empathetic to all opinions and to be on the ball when it comes to not only your current brand message, but also any predicted future ones as well. It’s this empathy that will empower ambassadors to continue to inspire and excite, bringing with them a whole new generation of Scotch whisky fans. It’s also ignoring the well-worn clichés and tired marketing spiel that keeps them atop the pile as key influencers in the industry. These are the trends shaping the whisky industry, according to producers, writes Becky Paskin.